Only a small number of Scottish families settled in Canada prior to Britain's conquest of New France in 1759. Those who did make their homes abroad were, for the most part, Highlanders seeking asylum following the failures of the "Fifteen" and the "Forty-five." But soon after, Scots, especially Highlanders, began leaving Britain in droves, squeezed from their homeland by the forces of modernization. Scotland's economy had been crushed beneath the unrest of the seventeenth and early eighteenth centuries. Farmers employed backwards techniques that involved no clearing, draining, or fertilizing of the land and produced just enough for subsistence. 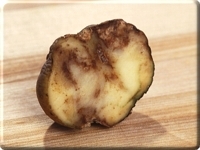 While one season's crop failure was disastrous, blight was catastrophic. One fifth of Scotland's population perished in the four major famines of the seventeenth century, setting into motion poverty cycles from which escape was impossible. When the Scottish and English Parliaments joined in 1707, agricultural improvements and trade with the American colonies offered the Scottish countryside some respite. But even then, "improvement" was a relative term: as industrialization spread north through the eighteenth century, it became clear that the predominantly agricultural society could not support a growing population with its limited resources. 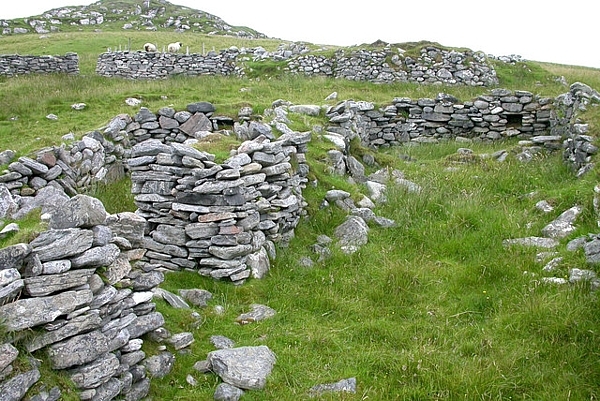 Although the process of agricultural change that took place in the eighteenth and nineteenth centuries displaced rural populations throughout the United Kingdom, nowhere was the human impact more devastating than in the Scottish Highlands. In the Highlands, a Gaelic-speaking semi-feudal society still bound by the obligations of a chieftain to his clan, the agricultural revolution left deep and permanent scars. The British government took measures to subdue the unruly Highlands in the aftermath of the First Jacobite Rising in 1715, including disarming the population and raising peace-keeping militias from loyal clans. This new era of oppression sparked a steadily increasing exodus of Highlanders to the Americas. After the Jacobite cause was finally crushed following the Battle of Culloden in 1746, the British government took more drastic measures to suppress the clans and amalgamate their populations into mainstream British society. 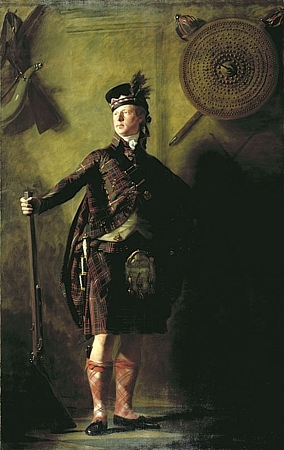 While the Acts of Proscription attempted to erase cultural symbols of Highland identity such as the tartan and kilt, other pieces of legislation, such as the Tenures Abolition Act and Heritable Jurisdiction Act, dismantled the traditional clan structure by ending the feudal bonds of military service and removing all sovereign power chiefs held over their clans. From the late sixteenth century, law required clan leaders to make regular appearances in Edinburgh to pay bonds for the people living on their land, adding a landlord-tenant dimension to the relationship between chiefs and clansmen. 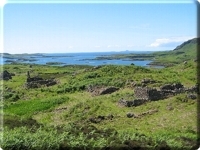 The government encouraged the clan chiefs to think of themselves as landlords following the Jacobite Risings, which is essentially what they were reduced to after the Highland suppression. Under the traditional clan system, a chief's importance was measured by the number of fighting men he could summon to his command. Once the clan chief was forbidden to retain his own army, the large tenantry that had once been a vital military asset was nothing more than a drain on resources. Just as the clansman's obligation to his chief had been severed, so was the chief's obligation to his clansmen. Tacksmen, landholders of intermediary status within the clan who rented land from the chief and letted it to sub-tenants, were affected first, and fastest. Once the traditional underpinnings of the clan system were removed, the tacksman was reduced to little more than an unnecessary middle-man. This class began its steady road to extinction in the 1730s as evicted tacksmen and their families migrated to the cities to find new work in industries or left Scotland altogether to begin anew. As the demand for wool and muttons swelled n Britain in the latter part of the eighteenth century, more and more landowners turned to sheep farming as a source of revenue. Hardy new breeds such as the black-faced Linton and the Cheviot thrived on the Highland pastures. Many landlords were thrilled by the opportunity to secure greater returns on their estates: rent on the estate of MacDonnell of Glengarry, in western Inverness-shire, for example, jumped seven hundred percent between 1768 and 1802. Extensive sheep farming, however, proved incompatible with high peasant populations. Landlords who had lost paternal interest in their tenants when they also lost power over them chose to pursue economic improvement by clearing peasant farmers from their estates. The MacDonnells began their first large-scale depopulation of Glengarry in 1786 to create a sheep run. By 1796 the land was teeming with over sixty thousand livestock. With profitable livestock driving up the value of land, subsistence farmers found it impossible to pay their rising rents. Some landlords found alternative forms of employment for their tenants, mainly in the fishing and kelp industries. A huge kelp industry exploded in the Western Isles at the turn of the nineteenth century, the price of soda ash (a by-product of burnt kelp) shooting from two pounds per ton in 1760 to twenty pounds per ton in 1808. Landlords who wanted to exploit the profits of this industry crowded families into crofting communities along the sea coast to create pools of cheap labour. Other dislocated families abandoned the Highlands and sought work in urban Lowland areas, while others still left Scotland altogether. By 1815, around thirty thousand Highlanders had sailed to British North America in search of better opportunities. 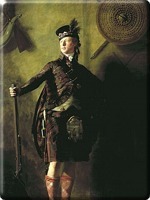 During the first phase of the Highland Clearances, Highlanders left Scotland after being dislocated by rising rents and agricultural restructuring. "Depopulation" did not become synonymous with agricultural "improvement," however, until after the close of the Napoleonic Wars. In 1815, the international market prices for fish and cattle plummeted, while the kelp industry bottomed out. To make matters worse, the already poor Highland soil had been losing fertility and productivity due to the impact of sheep dung. 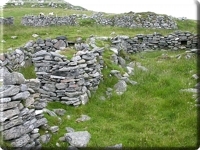 The crofting communities that had been established during the first phase of the Clearances were thus thrown back onto the inadequate resources of their holdings. Amid the post-war depression, the Highland economy was left with only one profitable industry: sheep farming. Some landowners moved their tenants from the inland glens to coastal areas where the people could survive by fishing while clearing up the glens for sheep. Others retained genuine paternalistic feeling for their clansmen and tried to support them as best they could. For example, when one third of the population living on the lands of MacDonald of Clanranald in the Ulsts went destitute in the late 1810s, the laird bankrupted himself purchasing meals for his people. And then there were the landowners who cared little for the welfare of the peasantry, concerned only with the wealth that could be made from the land. In the 1810s, the estates of the Countess of Sutherland and the 2nd Marquess of Stafford (who were to later become the Duke and Duchess of Sutherland) amounted to one and a half million acres, some of the largest private holdings in Europe. To fulfill their plans of turning the land over to sheep farming and create on their grounds coal-pits, salt pans, brick and tile works, and herring fisheries, the Sutherlands employed the notorious Patrick Sellar as their estate manager. During his eleven years of service, he cleared some fifteen thousand residents from the interior of the Sutherland estates to make room for Cheviot herds, squeezing the people along the coastline some thirty kilometers away, in lots less than three acres in area. Vilified in collective memory as the callous perpetrator of a destructive policy, Sellar earned his reputation presiding over one of the largest, most violent, and most controversial episodes of the Highland Clearances. Although Sellar was acquitted for arson and culpable murder in 1816, critics have claimed that his social status (he was a lawyer and a Justice of the Peace with many friends among the clergy and gentry) garnered a biased verdict. Apologists have cited him as a necessary agent of change, pointing out that the evicted persons had received two or three notices and still refused to leave. The Duchess of Sutherland later became involved in the abolitionist movement. In 1853, she gathered signatures from the British peerage to petition the United States to abolish slavery. The Duchess sent the petition to Harriet Beecher Stowe, America's heroine of the abolitionist movement and author of Uncle Tom's Cabin. Southerners attacked the petition, claiming that their slaves lived in far better conditions and led happier lives than the peasant farmers the Duchess had forced from her lands. To counter this harmful rhetoric against the abolitionist cause, Stowe visited the Sutherlands during her European tour. In her travelogue, Sunny Memories of Distant Lands, published 1857, Stowe eulogized her hosts and delivered a white-washed account of the Sutherland Clearances to the American public. "The houses had been all built, not by the landlord as in the low country, but by the tenants or by their ancestors, and, consequently, were their property by right, if not by law. They were timbered chiefly with bog fir, which makes excellent roofing but is very inflammable: by immemorial usage this species of timber was considered the property of the tenant on whose lands it was found. To the upland timber, for which the laird or the factor had to be asked, the laird might lay some claim, but not so to the other sort, and in every house there was generally a part of both. In former removals the tenants had been allowed to carry away this timber to erect houses on their new allotments but now a more summary mode was adopted, by setting fire to the houses! The able-bodied men were by this time away after their cattle or otherwise engaged at a distance, so that the immediate sufferers by the general house-burning that now commenced were the aged and infirm, the women and children. As the lands were now in the hands of the factor himself, and were to be occupied as sheep-farms, and as the people made no resistance, they expected at least some indulgence, in the way of permission to occupy their houses and other buildings till they could gradually remove, and meanwhile look after their growing crops. `Their consternation, was, therefore, the greater when, immediately after the May term day, and about two months after they had received summonses of removal, a commencement was made to pull down and set fire to the houses over their heads! The old people, women, and others, then began to try to preserve the timber which they were entitled to consider as their own. But the devastators proceeded with the greatest celerity, demolishing all before them, and when they had overthrown the houses in a large tract of country, they ultimately set fire to the wreck. So that timber, furniture, and every other article that could not be instantly removed, was consumed by fire, or otherwise utterly destroyed. In such a scene of general devastation it is almost useless to particularize the cases of individuals-the suffering was great and universal. I shall, however, just notice a very few of the extreme cases which occur to lily recollection, to most of which I was an eye-witness. John Mackay's wife, Ravigill, in attempting to pull down her house, in the absence of her husband, to preserve the timber, fell through the roof. She was, in consequence, taken with premature labour, and in that state, was exposed to the open air and the view of the by-standers. Donald Munro, Garvott, lying in a fever, was turned out of his house and exposed to the elements. Donald Macbeath, an infirm and bed-ridden old man, had the house unroofed over him, and was, in that state, exposed to wind and rain till death put a period to his sufferings. I was present at the pulling down and burning of the house of William Chisholm, Badinloskin, in which was lying his wife's mother, an old bed-ridden woman of near 100 years of age, none of the family being present. I informed the persons about to set fire to the house of this circumstance, and prevailed on them to wait till Mr. Sellar came. On his arrival I told him of the poor old woman being in a condition unfit for removal. He replied, "Damn her, the old witch, she has lived too long; let her burn". Fire was immediately set to the house, and the blankets in which she was carried were in flames before she could be got out. Slit was placed in a little shed, and it was with great difficulty they were prevented from firing it also. The old woman's daughter arrived while the house was on fire, and assisted the neighbours in removing her mother out of the flames and smoke, presenting a picture of horror which I shill never forget, but cannot attempt to describe. She died within five days. As the dispossessed Highlanders scratched meager subsistence from the poor soil of their tiny crofts, they learned the bitter limitations of the clan. 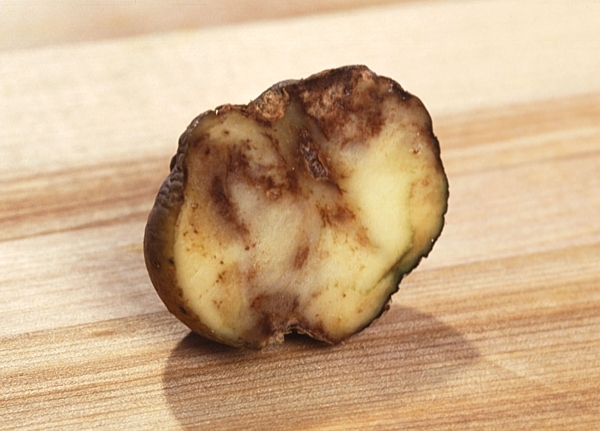 One crop saved Highland farmers in the early nineteenth century: the potato. Not only was it reliable, returning a high yield from small acreage and poor soil, but could also provide a nutritious, balanced diet when combined with milk and fish. The population quickly grew to depend on it. And the population was booming - in the Outer Hebrides, for example, population almost doubled from thirteen thousand to twenty-five thousand between 1745 and 1811. This same pattern was found all across the Isles and Highlands, populations doubling or even tripling within decades. So when the potato crop partially failed in 1836, and then completely failed ten years later, the driving forces behind the clearances scaled to new heights. Famine ensued. People died of starvation by the thousands. Those who still clung to their ancestral homes survived on seasonal employment in the Lowlands. Then, following the European revolutions of 1848, Lowland industries suffered from recession. Cattle prices fell. And recent Poor Law reforms had made landlords responsible for providing welfare relief to their destitute residents. Even members of the gentry were unable to provide for themselves, let alone provide for their starving crofters. What had begun as a means of making more profitable use of the land had become a necessary means of survival: bankruptcy and starvation were the only alternatives to clearing and depopulating the land. And while many peasants clung tenaciously to their deteriorating way of life, more conceded to their only alternative to starvation: emigration. In 1849, The Scotsman estimated that some twenty thousand Highlanders had left for Canada in that decade alone. Between 1846 and 1856, the whole of Scotland had lost more than fifty thousand people to British North America, with another sixteen thousand making an exodus for Australia. As the nineteenth century wore on, the country battled a Malthusian catastrophe of the highest order, and the pressures of over-population on Scotland's restricted resources left the country with an emigration rate higher than its birth rate. 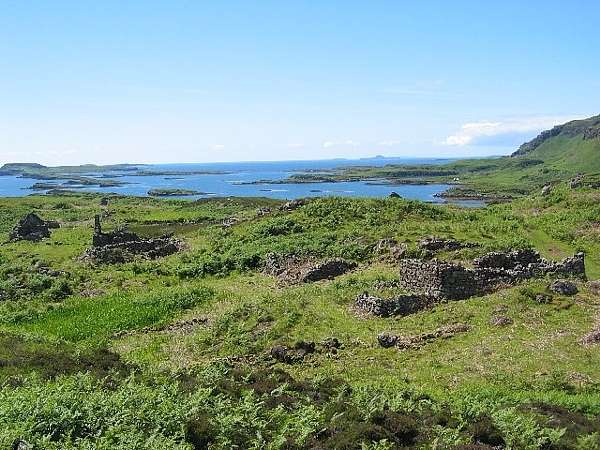 The deserted glens of the Isles and Highlands are the monuments such emigrants left behind.